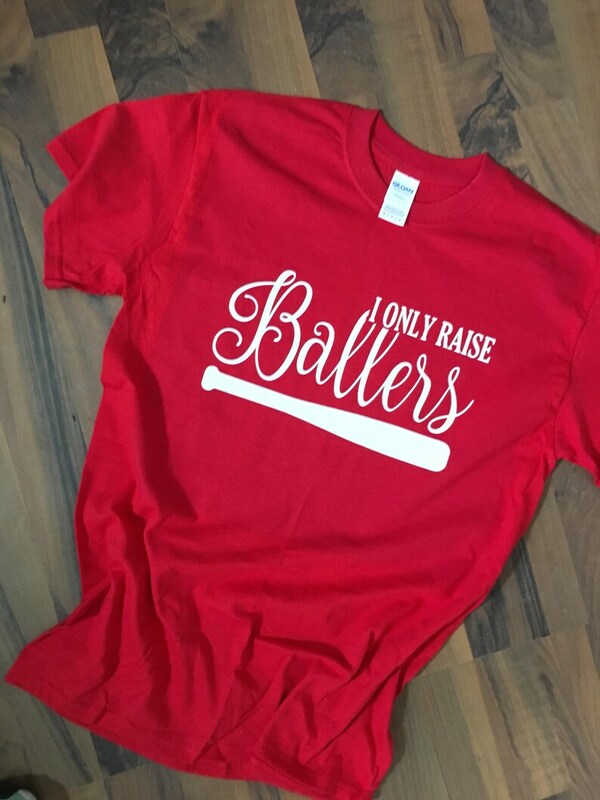 Super cute Baseball Mom Shirt. Can be made with or without the bat. Does your child play a different sport than baseball? We can add that on there instead of the bat! Just message us to customize to your liking! I don't normally like to leave bad reviews, but when the shop shipping details says ready to ship in 3-5 days...and it's been 2 weeks and going on the third week this week. Little frustrating considering our ball season has started and was wanting it specifically for that reason. Contacted shop about maybe switching the size but didn't hear back in a timely manner and then was told they were on spring break. Don't like typically waiting three weeks to receive and item...told it would ship today and still has not. Everything is perfect. Quick shipping, exactly how I asked for it. Washes well, still very glittery after several washes. Will be purchasing more from this seller!